At Stephen H. Hagler LLC, we provide legal representation to those requiring Social Security Disability guidance, family law assistance and estate planning help. 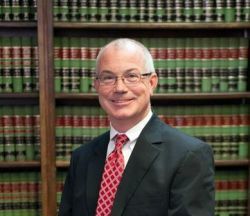 Stephen Hagler has been practicing law since 1991, and he knows what is required for you to succeed. If you have a family, Social Security, or wills and trusts matter that needs to be addressed, we can answer your questions. 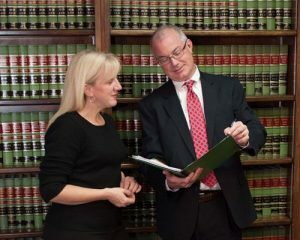 Contact our law office by e-mail to set up your free initial consultation. The divorce process can be complicated. If you need help sorting out child custody or child support matters, you need an experienced family law lawyer in your corner. We will help you with all sorts of family law issues, including step-parent adoption and adoptions by third parties. We also provide representation for soldiers going through a military divorce and individuals who wish to establish paternity. If you need help obtaining Social Security Disability Insurance (SSDI) or Supplemental Security Income (SSI), you want someone on your side who is trained and experienced with the laws that pertain to the Social Security system and denied SSDI/SSI claims. If you are struggling to find out why you need an SSDI attorney, the law office of Stephen Hagler can help. We provide personal attention and we will explain the entire SSDI process to you, including how receiving these benefits will affect your elgibility to receive Medicaid or Medicare. We are committed to making our services convenient. We are willing to come to you if you are not able to get to our office in Martinez, Georgia. To schedule a free consultation with a competent family law attorney, call us at (706) 860-9060 or send us an e-mail.